This is for all trying to identify seals on paintings or elsewhere. 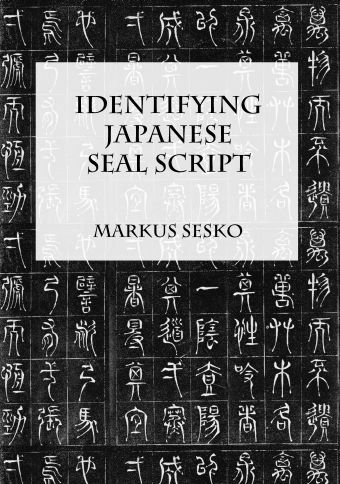 The purpose of this publication is to provide a basic guide and reference for identifying Japanese seal script. The most effective way of identifying a seal script is by its radical, a graphical component under which the character is traditionally listed in a dictionary. The radicals used here are the Japanese version of the 214 Chinese Kangxi radicals.The first thing to do is to identify the radical under which the character is most likely to have been indexed.To begin with, this dictionary offers a RADICAL SECTION. If you think you found a match with the supposed radical for the seal character in question, then go to the page which lists the characters grouped under that radical. This dictionary contains approximately 4,000 characters. As mentioned, the purpose of this publication is to provide a basic guide and reference. It is not meant as a comprehensive seal script dictionary offering different interpretations of each seal character. As at the previous publication Identifying Japanese Cursive Script, there is a paperback, a hardcover, and an eBook version available. Please click at Preview under the cover at any of the links provided above to see some sample pages of the book. is this a dictionary or a gallery? It is basically a character “match up”, i.e. about 4,000 characters listed via radicals and below their equivalent in seal script. No dictionary info like meaning or reading of the character. It is intended as a tool for when you have to find the “block script” character in a case you have a seal script inscription.